A powerful, durable and affordable hardware saw enclosed in a sterile, liquid and pathogen proof cover. The saw is fitted with a pistol-grip handle and trigger mechanism for optimized ergonomics and safety. 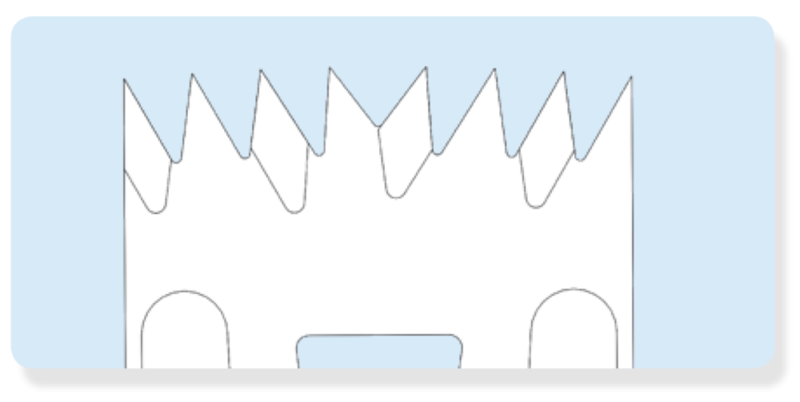 A range of highest quality saw blades is available for use with the system. The SawCover System has plenty of power to be used for Total Knee Arthroplasty (TKA) while offering fine handling and ergonomics, which make it suitable for a range of osteotomy procedures, including small bone procedures. 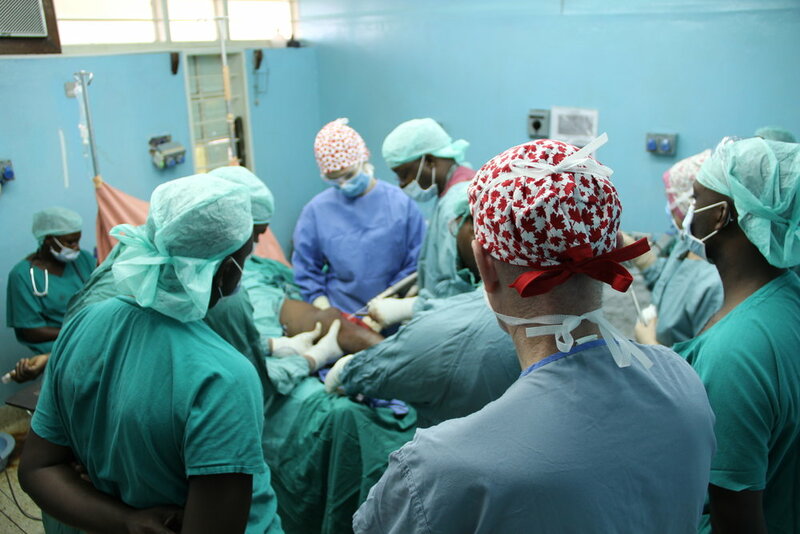 It can also be used for femoral head removal for Total Hip Arthroplasty (THA), amputation, harvesting of ACL grafts and bone grafts, and more. 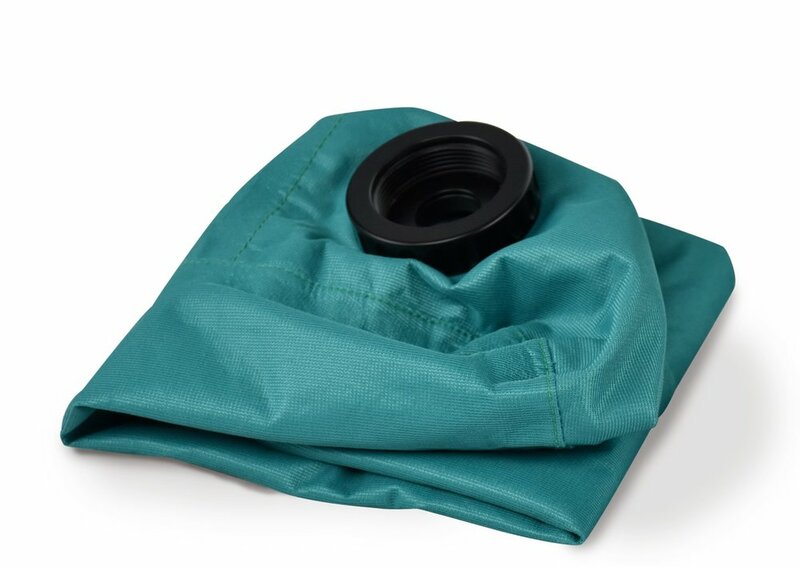 The Arbutus Medical DrillCover technology, the technology also used in the SawCover System, saves money without compromising safety or performance. 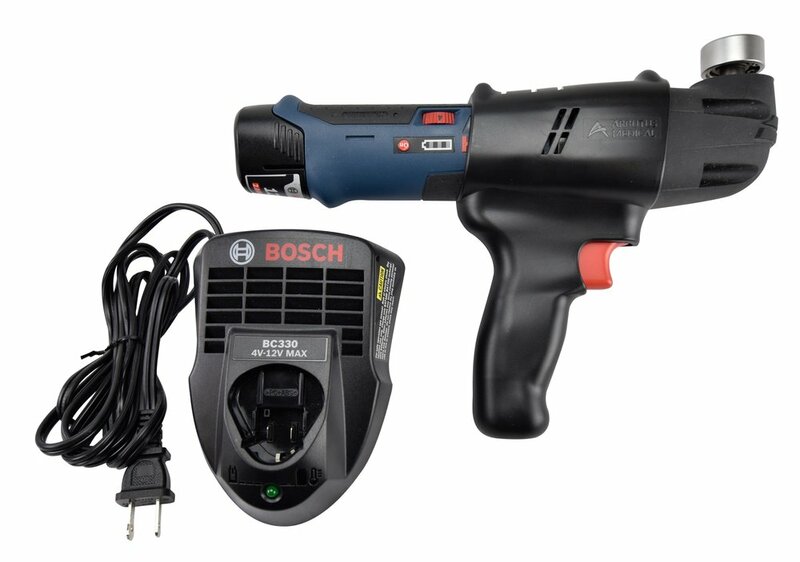 The hardware saw used in the system was carefully selected for its robustness, power and battery life. 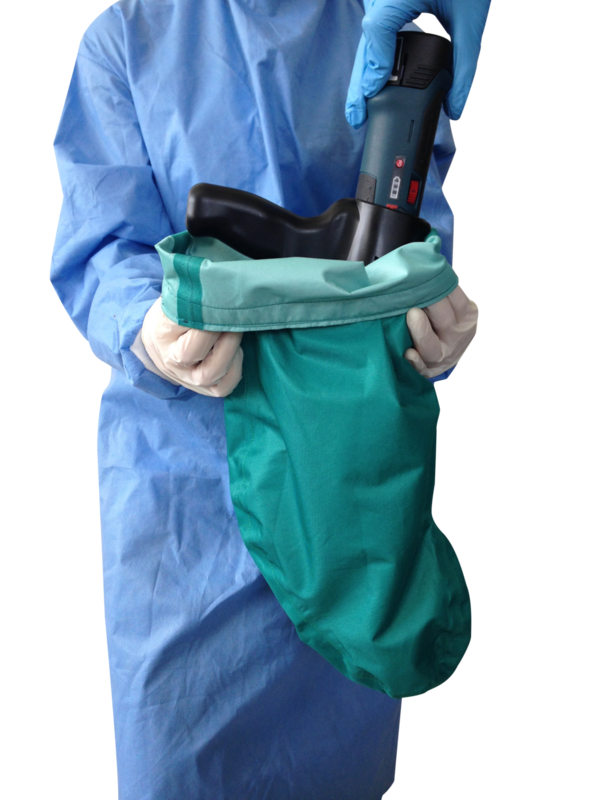 The pistol grip handle and trigger mechanism were engineered to match the ergonomics of a conventional surgical saw while the cover provides a fully sealed liquid and pathogen proof sterile barrier. A variety of highest quality saw blades makes this tool versatile and suitable for a range of orthopaedic procedures. Conventional orthopaedic oscillating saws are expensive and one saw is often not enough as it takes time to clean and sterilize instruments between cases. Multiple SawCovers allow a busy hospital to perform back-to-back surgeries with a single saw power tool by simply replacing the battery with a fully charged one to ensure plenty of power, and loading the saw into a new sterile cover. 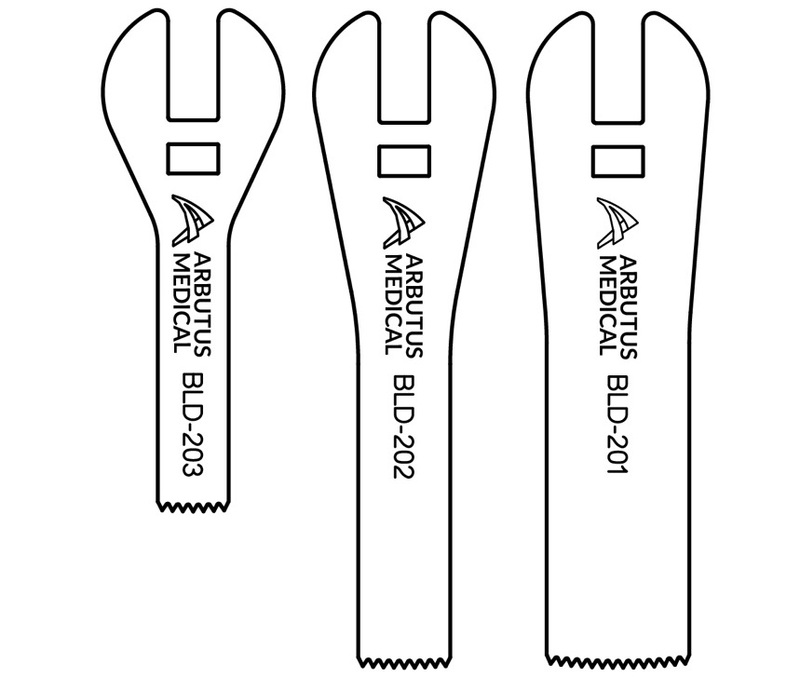 The SawCover System can only be used with Arbutus Medical saw blades. See details below. 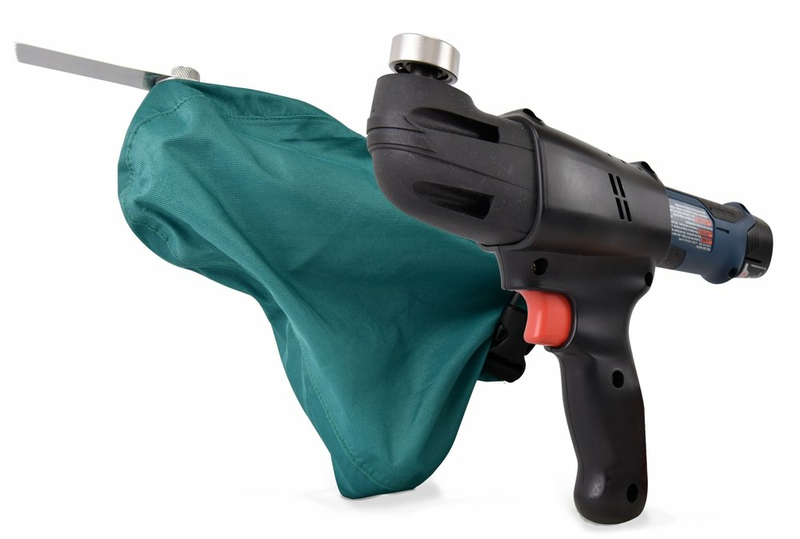 * If performing 2+ cases requiring oscillating saw per day, we recommend additional SawCover Linens ( + Thumbscrew and Allen Key) and an additional battery. This allows you to perform multiple back-to-back surgeries with a single saw by simply replacing the linen, thumbscrew and blade. 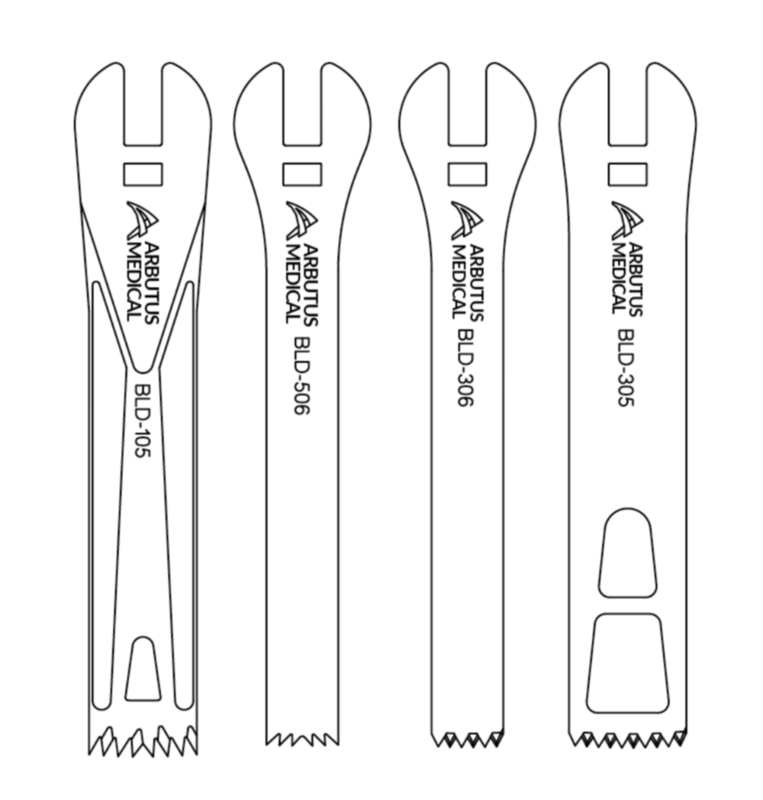 The SawCover System can only be used with Arbutus Medical saw blades. Our blades are made of highest-quality surgical blade steels in manufacturing facilities in the USA and the EU that also make blades for many industry-leading orthopaedic device companies. There are different tooth geometry designs and different sizes to choose from, depending on the application. BLD-201 (63mm L x 20mm W): For most large bone osteotomies including femoral head removal for THA. BLD-202 (63mm L x 13mm W): Narrower and shorter for small bones e.g. wrist, hand, foot, plastics. Suitable for harvesting ACL grafts. BLD-203 (43mmL x 10mmW): Narrower and shorter for small bones e.g. wrist, hand, foot, plastics. Suitable for harvesting ACL grafts. BLD-305 (95mm L x 20mm W): For all TKA cuts except box cut. Fits 1.2mm TKA guides. Fast cutting and excellent debris clearance. BLD-306 (95mm L x 13mm W): For TKA box cut. Fast cutting and excellent debris clearance. BLD-506 (95mm L x 13mm W): For TKA box cut. Cuts slower than BLD-306. Less expensive. BLD-105 (95mmL x 20mmW): For all TKA cuts except box cut. Fits 1.2mm TKA guides. Light, less vibration, less friction, excellent debris clearance. Other blade sizes are available upon request. Sterilization: Steam autoclave only. Gravity displacement at 121° C for 30 minutes; Prevac autoclave at 132° C for 4 minutes or 134° C for 3 minutes. For complete instructions, download the Instructions for Use here. Sign up with your email address to receive our quarterly newsletter on Arbutus Medical news, innovations, and upcoming events. US FDA (Food & Drug Administration): The DrillCover Systems Family is listed as a Class I device with the US FDA. Health Canada: The DrillCover Systems family is licensed as a Class II medical device by Health Canada.